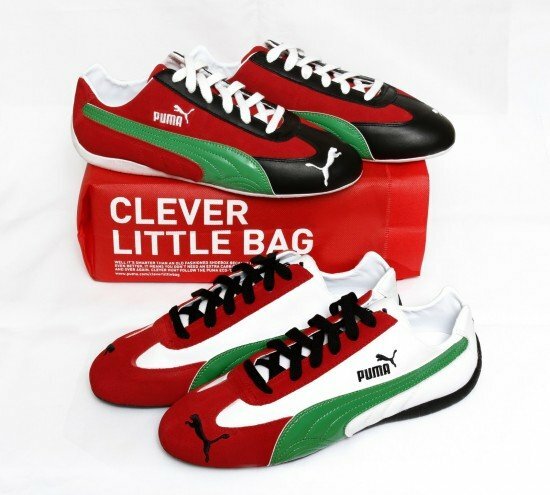 In the race for all things special for the upcoming 40th anniversary of the UAE, Puma decided to come up with a special UAE flag colored shoe. However as things turn out, this tri-colored shoe may have been a little too ambitious as Puma are finding out. The shoe has tripped the wrong sentiments with the Emiratis who are upset about their flag being used as inspiration for a shoe. The shoes are a limited edition and were made from a design that was selected as the result of a contest. Only 120 pairs of these speedcat shoes have been made. Last we heard, Puma was basking in the glow of the extra publicity (no news of pulling the product back) so it does seem like there is no such thing as bad publicity as far as Puma is concerned. The shoes are available for AED 649 ($176) from Puma stores throughout the UAE.